One of the leading Slovak boutique law firm with over 28 years of experience representing top clients, providing deep insights and game changing solutions. Our dedicated and structured team focuses on all areas of commercial law, IP/IT law and wealth management. Our clients benefit from our unique local network aquired during years of legal practice. We know the market. For more than 20 years, we have been working on great big cases. Many of the judgments delivered in our legal cases are now are now subject of case-law studies at Slovak faculties of law. We often stand by our clients in the moments of their important decisions making. Sometimes, those are life-time decisions – selling a company, joining a strategic partner, starting a business, prosecuting or protecting of innovation… It’s a partnership based on trust and secrecy. The confidence that our clients may rely on us at any time, gives them assurance in their decision making. Our specialized and structured team consists of more than 15 lawyers and provides tailor-made solutions. Our clients are confident that their case is taken care of its is under their control and regularly receive reports on the work progress and overview of billable hours. Thanks to our long-established network of partner law firms and experiences in advising clients in their international business activities, we are able to cover the needs of our clients on multiple continents. Our office works daily with number of reputable law firms in European countries, the US, South America and Asia. We have provided legal advices on numerous international transactions such as a preparation of cross-border Joint Venture processes, stipulating shareholder relations, business transactions, or founding start-up companies and their financing. In the field of intellectual property and IT law, our office is working on a daily basis with renowned offices worldwide enabling us to advice and manage a global protection of intellectual property rights of our clients. Professional experiences are reflected in memberships in various prestigious international as well as domestic economic associations and professional chambers. The American Chamber of Commerce, the British Chamber of Commerce, the Italian Chamber of Commerce, the Taiwan Chamber of Commerce, the International Association for the Protection of Intellectual Property (AIPPI), the International Trade Mark Association (INTA). We have been providing legal services for over 28 years. The BRICHTA & PARTNERS law firm was founded by the founding partner Mr. JUDr. Julius Brichta in 1990 when the fundamental socio-political changes in Slovakia opened possibilities to practice law as an attorney. 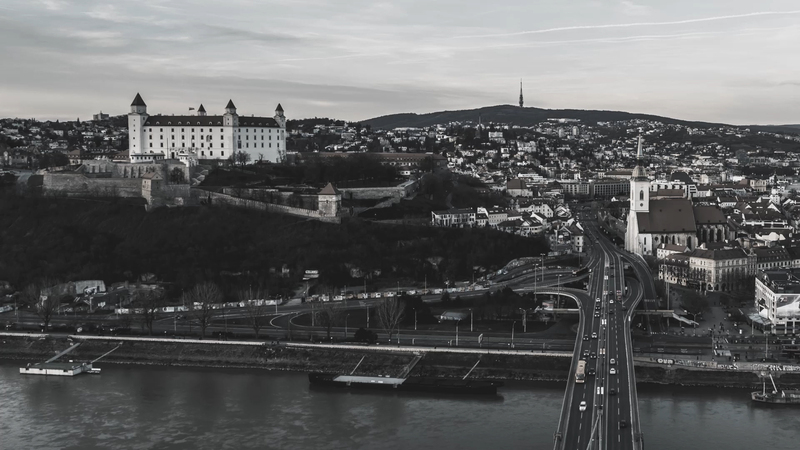 In addition to the areas of business and corporate law, we have been providing legal consultancy in the area of intellectual property rights since 1993, making us one of the longest-standing IP office on the Slovak market. Leadership of Brichta & Partners in IP law has been retained to this day. Our law firm currently consists of fifteen lawyers and support staff such as and as paralegals, administrative staff, translators, assistants, and external technical consultants and patent attorneys for industrial property rights. We provide legal services for broad spectrum of clients starting with multinationals companies from the Fortune 500 list in the pharmaceutical, automotive, fashion, tobacco and cosmetic, major Slovak companies from the financial, technological, manufacturing, business, fashion and advertising sector, and also several successful start-up Slovak companies many of which managed to be successful both in Slovakia as well as abroad. We often stand by our clients in the moments of their important decisions making. Sometimes, those are life-time decisions – selling a company, joining a strategic partner, starting a business, prosecuting or protecting of innovation… It’s a partnership based on trust and secrecy. The confidence that our clients may rely on us at any time, gives them assurance in their everyday decision making. Complex and well done work is built on details. We do pay an attention to every little one, since our experiences have taught us that details often make a difference. We seek for details and create them for our clients to protect their interests and thus create a difference that is a founding-stone of every successful business. Our professional experience gives us an ability to predict. Situation in which our clients may appear today, we had already been in several times. It is like a game of chess. Each step is well-played and thus planned ahead. Our success lies in knowledge and experiences – we always play a fair game. Our clients and team members do appreciate the high standard of moral principles in professional and personal relationship. This approach is what has been helping us steadily grow for over 28 years.